One of the things I was most looking forward to for Cinque Terre was exploring the colors and the reason behind each of them. 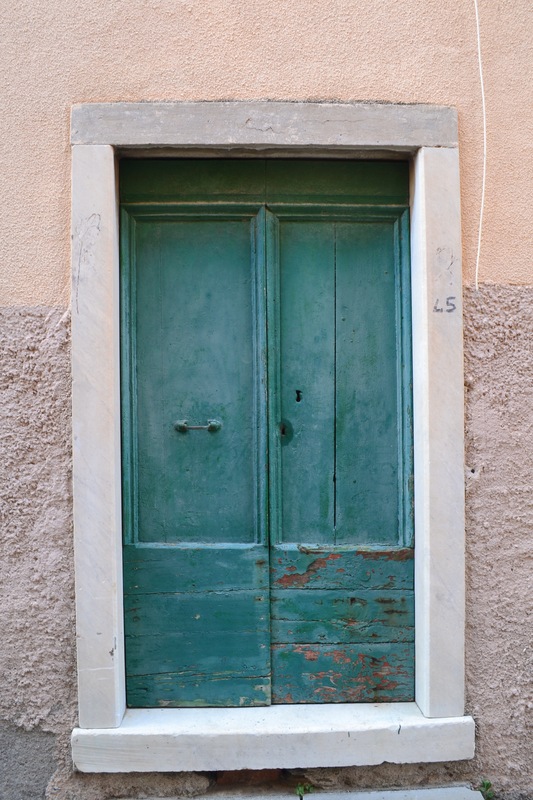 My second blog post was about the colors of Cinque Terre and my curiosity towards them. Initially I had hoped to discover the secret meaning of the beautiful colors. 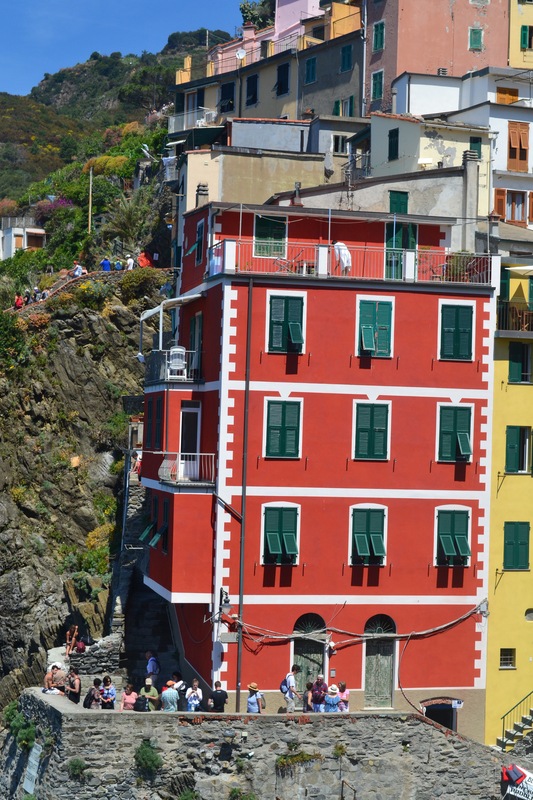 Unfortunately I did not discover any deep significance behind the vibrant colors that make Cinque Terre so unique. So, I decided to give them my own meaning. 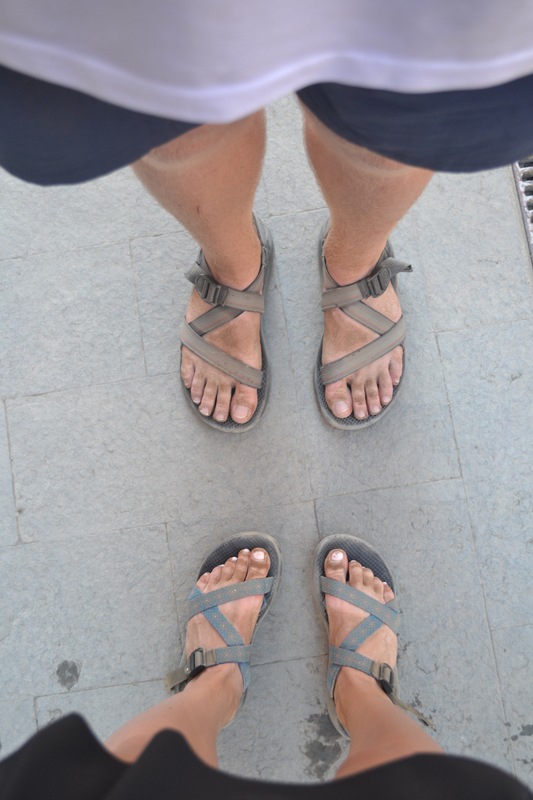 I had hoped to answer my questions through the lens of my camera, so I don’t think there is a better way to depict our time in Cinque Terre than through the pictures. 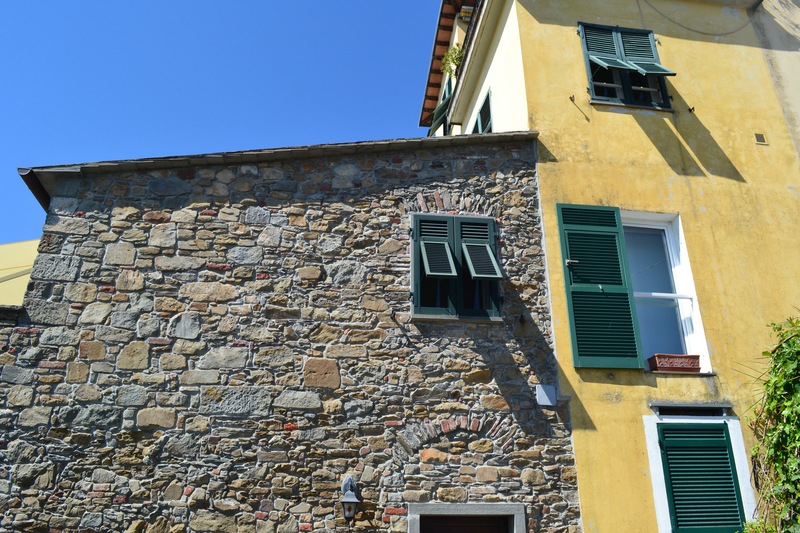 The blue house is actually a wash and dry facility and it’s my favorite building in all of Cinque Terre. It’s color is unique and the building stands out to pedestrians as they walk through mostly pink, yellow, and orange buildings. 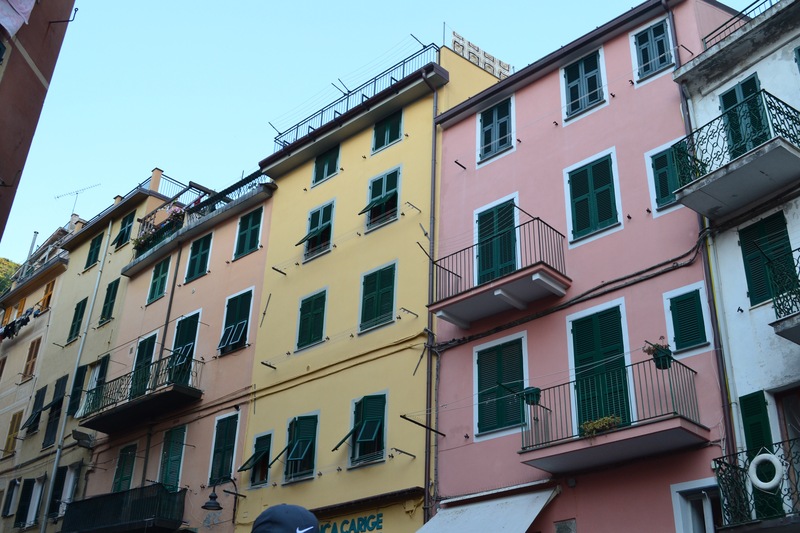 So it only makes sense that my favorite building correspond with my favorite part of Cinque Terre – the sea. 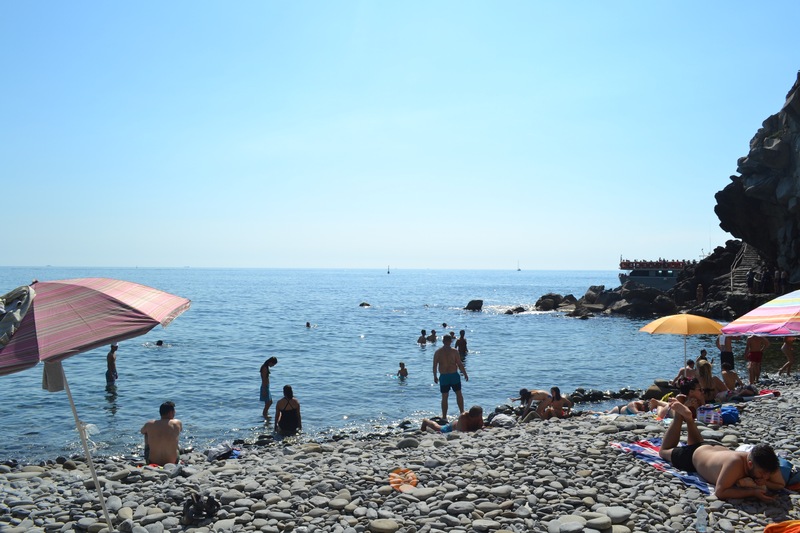 Shortly after arriving in Cinque Terre we all took to the sea. 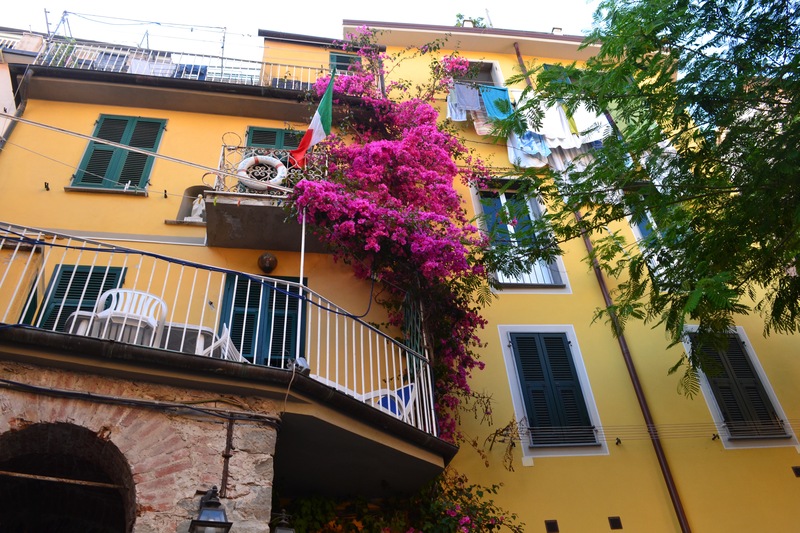 Cinque Terre is right on the coast of the gorgeous Ligurian Sea. The water is bright blue and clear as crystals. Within thirty minutes of dropping our bags off at the hotel we were all in the chilly water. We swam, we tanned, we played and had the best time. The best part was near the end of our time on the beach the first day. I was laying on a rock with Sarah and Jacey when we looked over and saw that half the group had climbed but the side of a cliff about 100m away. When we got there we decided to climb the cliff as well. This was no easy task. Even though it wasn’t actually that difficult to free climb the cliff, it was slightly painful. I remember laughing to myself a little looking at everyone’s legs, feet, and hand and seeing a little bit of blood on everyone from the sharp rocks – battle wounds. But the blood was worth it because we all jumped from the cliff into the clear blue water and celebrated the day together. 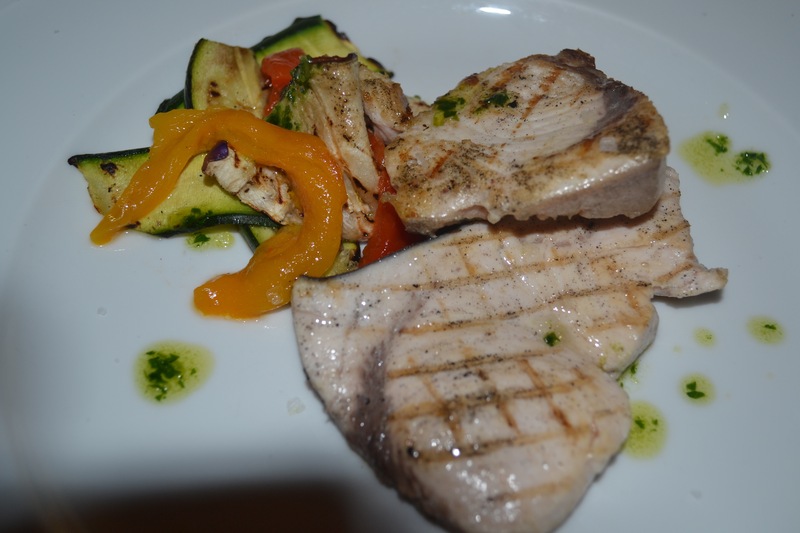 The Food in Cinque Terre was incredible. Everything is so fresh and full of flavor. My personal favorite was Bar Central, the restaurant we went for breakfast. 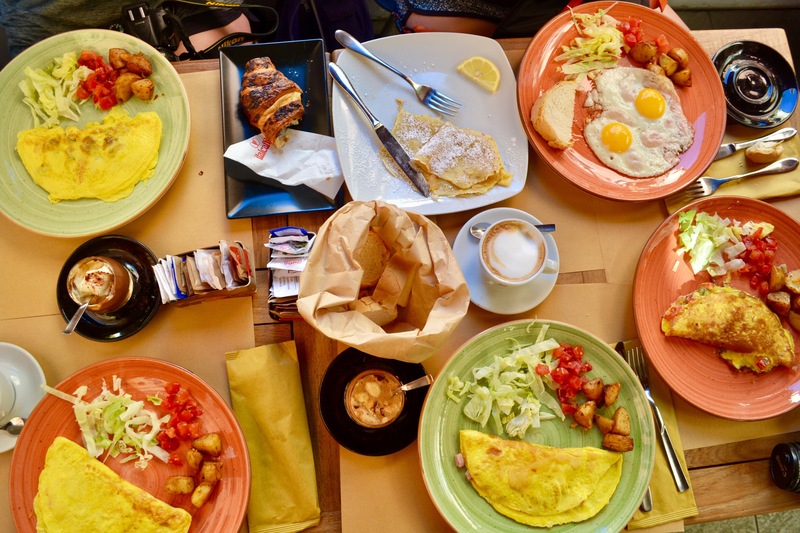 Stumbling upon this breakfast restaurant ended up being one of my favorite parts about Cinque Terre. 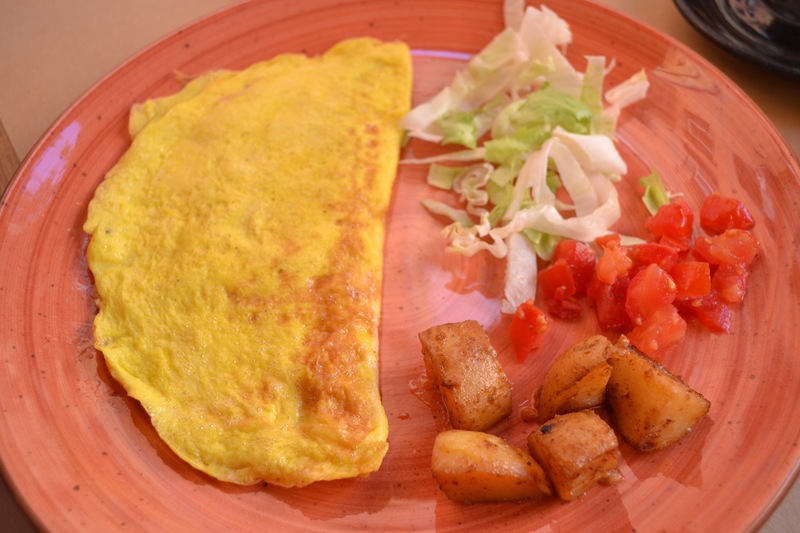 The food was amazing (I will never forget the best omelette I’ve ever eaten) and the company I was with was even better. We all loved it so much we went there both mornings. 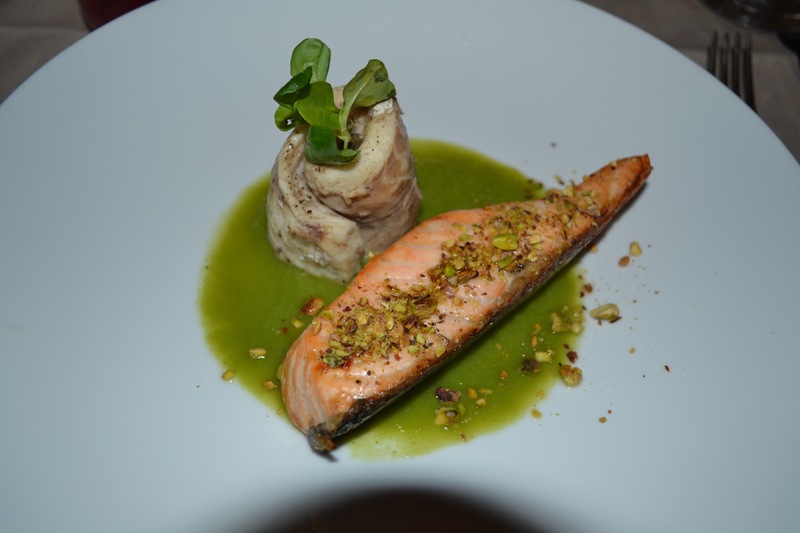 The rest of the food we ate throughout our time in Cinque Terre was equally as memorable just in a different way. 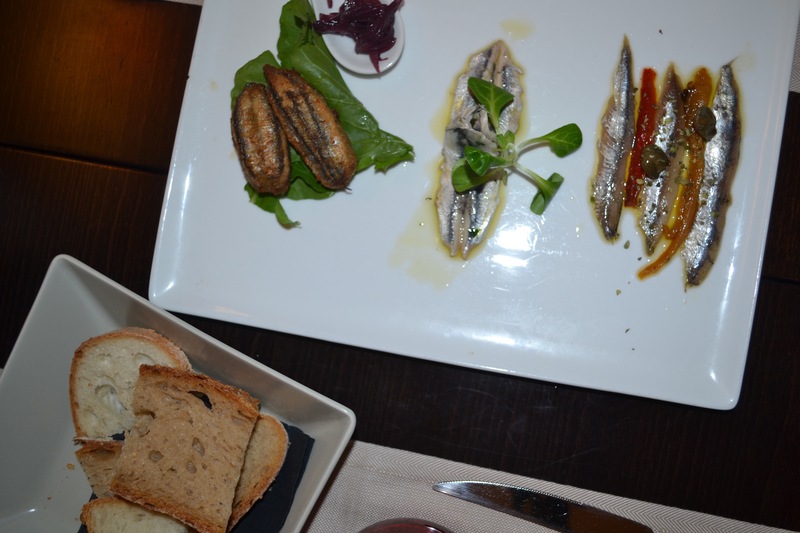 I’ve never had better sea food or enjoyed an anchovy, yet somehow Cinque Terre pulled it off. It was truly a food bloggers dream (yes, I have a food Instagram). Can’t forget about the fruit! The “Peach House” is actually the hotel we stayed in. 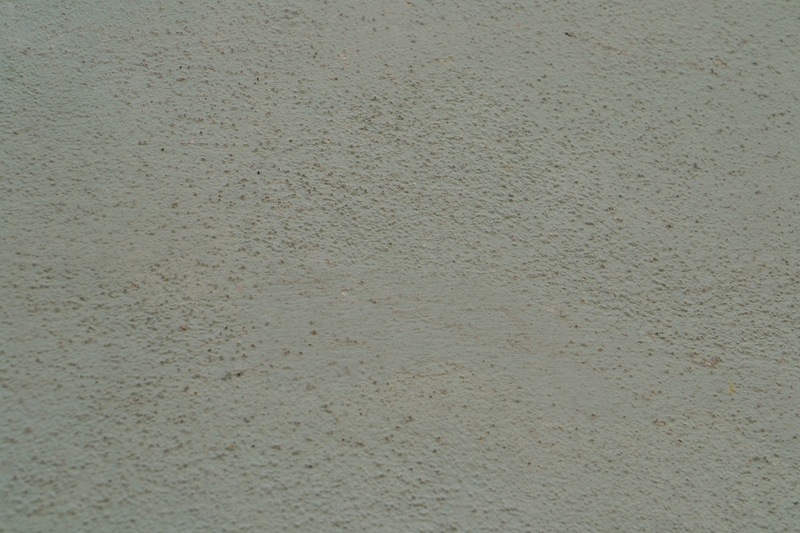 The picture is taken from the street right below my rooms window. 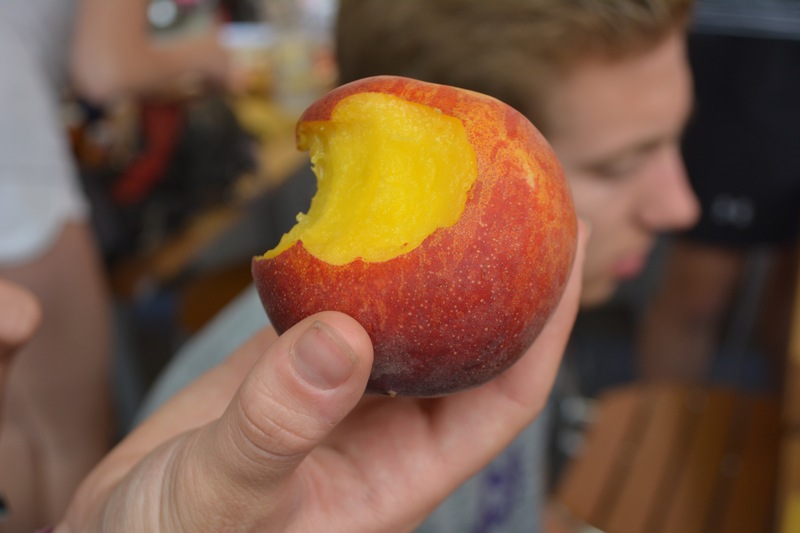 The actual peach was the juiciest peach I’ve ever eaten. The cherries were also some of the best I’ve ever had the privilege to eat. 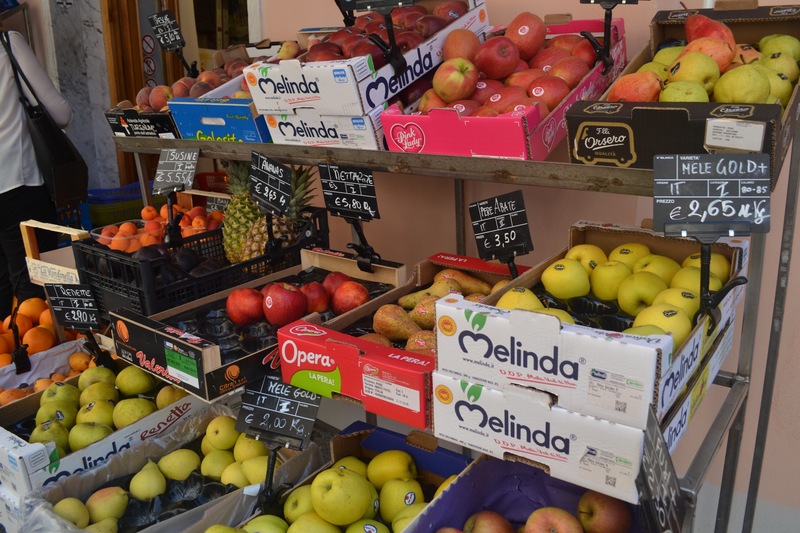 Riomaggiore does fruit right. We definitely had our fair share of stairs in Cinque Terre. 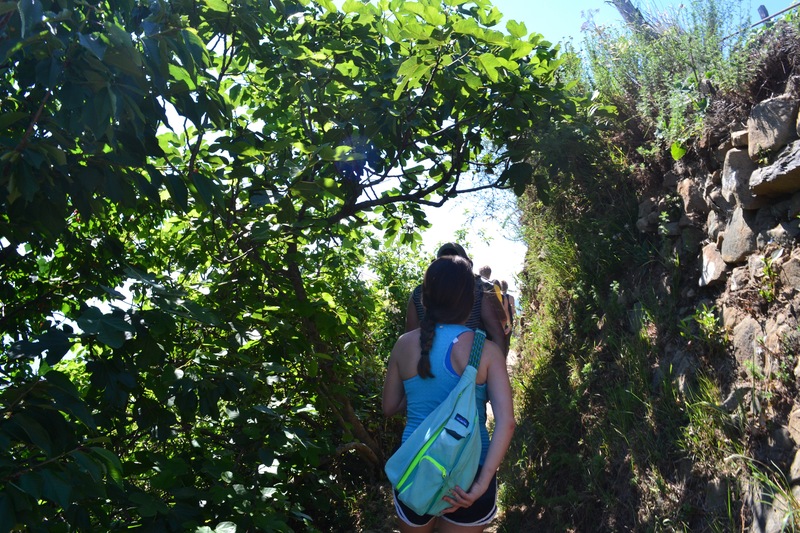 In case you forgot, Cinque Terre was built on the side of a cliff which means a lot of hiking to get from one place to the next. 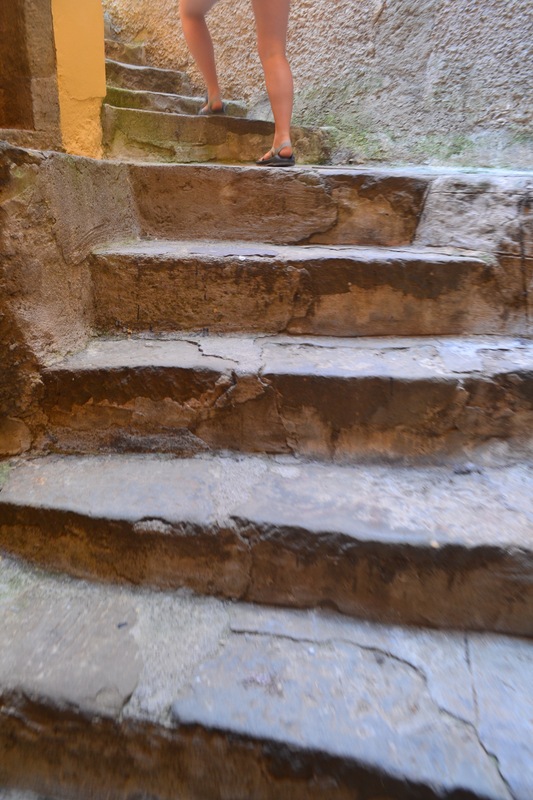 Whether it’s getting from the beach to the hotel, the hotel to dinner, or climbing to the church on the top of the hill, stairs quickly became the primary method of getting around. Our second day we went on a hike to the top of Riomaggiore and then around to the other villages of Cinque Terre. We laughed, we sweated, and we admired the views. Two-hundred flights of stairs later (according to the fit bit) our calves will never be the same. I would not say that I necessarily enjoy hiking up hundreds of stairs, but I am so glad that I did it because e views and the quality time with those around me made it all worth it. Physical evidence of a long hike. 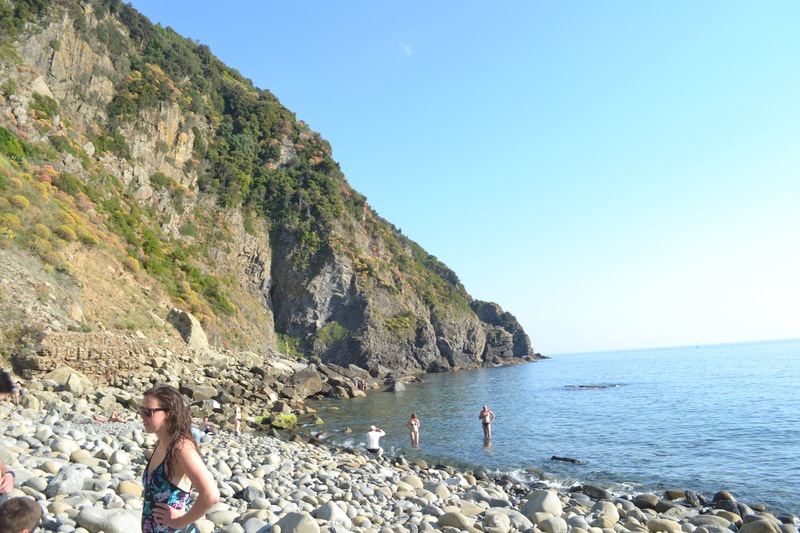 Cinque Terre was hot and sunny. The tan/burn lines we all received after the hike were pretty gnarly. Although I somehow scraped by with only a minor sunburn on my shoulders, some where not so lucky. 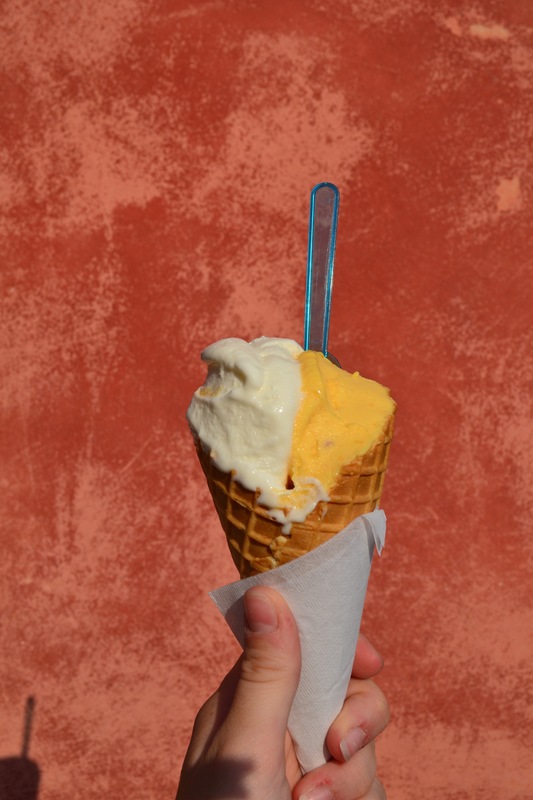 So, we did figured out the best way to treat a sun burn – a little gelato. 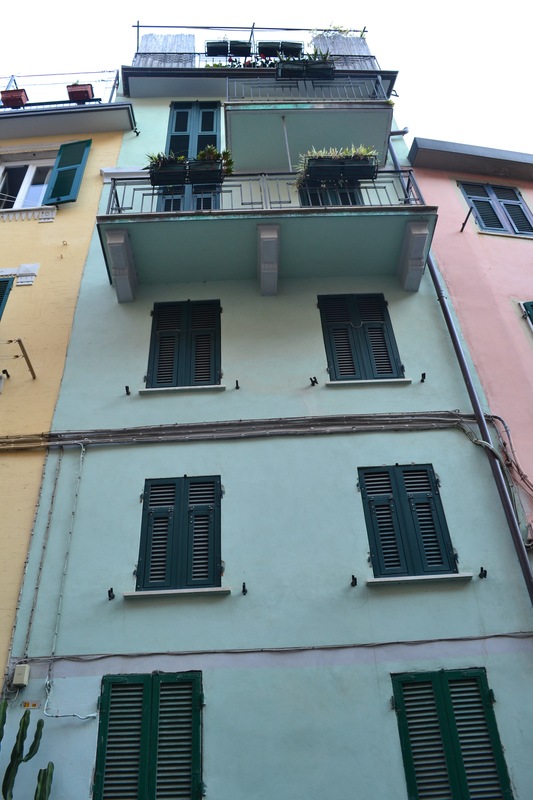 Something I loved about the buildings and the colors of Cinque Terre was the uniformity of the windows and doors. All the windows and doors on almost every building are the same shade of green as the lush scenery that surrounds them. 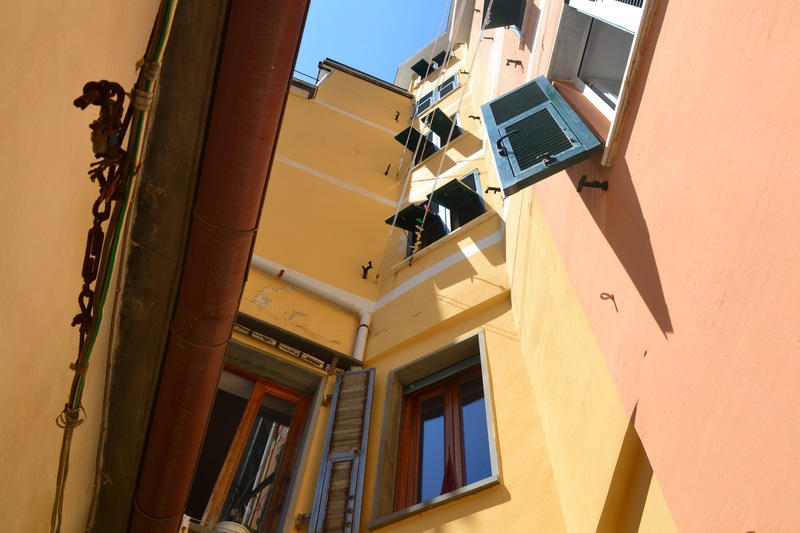 This is a common theme throughout most housing I’ve seen in Italy so far, but this touch of color stands out the most to me in Cinque Terre because of the vast and beautiful hills. 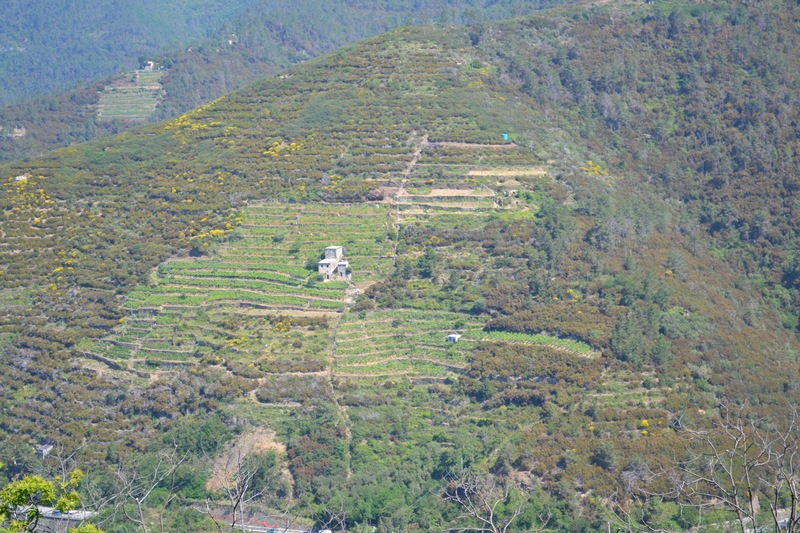 The green windows seamless interweave the small villages into the hillside and give the colorful city one commonality that makes it one. 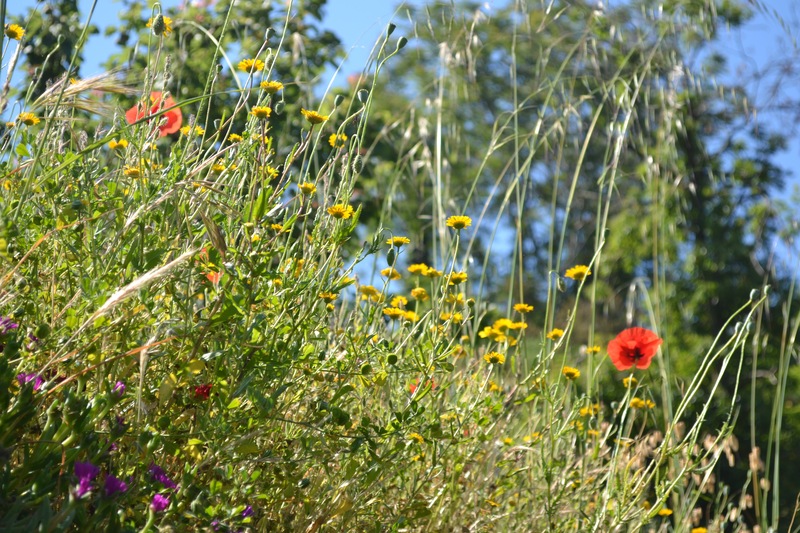 This simple detail acts as a simple reminder to look around and appreciate God’s wonderful creation. Finally, lemon soap. On the final morning in Riomaggiore, Dr. P took us to his dear friend Franci’s shop. His store sold local Cinque Terre goods. Something that first caught my eye was the lemon soaps. This store had baskets and baskets full of this incredible lemon soap. 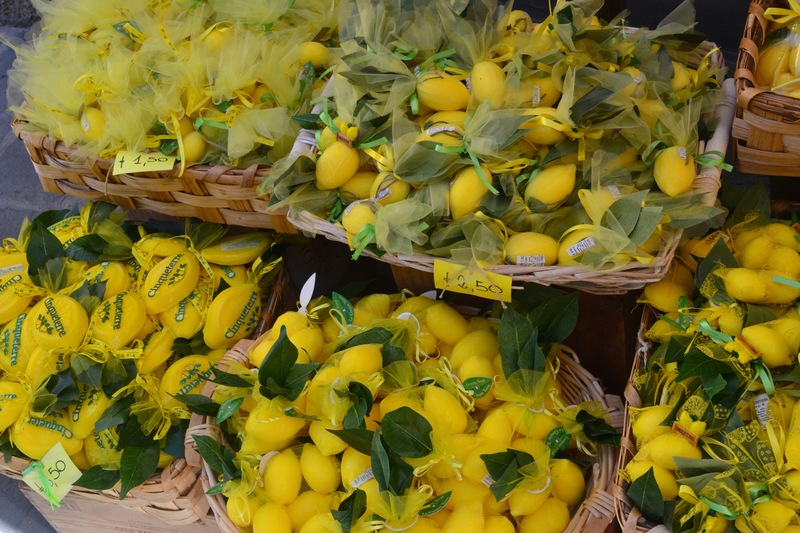 Even though I didn’t buy any, it added a touch of bright yellow to the streets as you walk by the store. I loved getting to look through his shop and here about the local goods because it reminded me that Riomaggiore is home to so many amazing people. People who spend their lives making pastas and pestos for us to come and buy. Now you may be wondering what the point is and why I’m talking about fruit, sunburns, and soaps. Well, the point is that I’m talking about fruit, sunburns, and soaps. 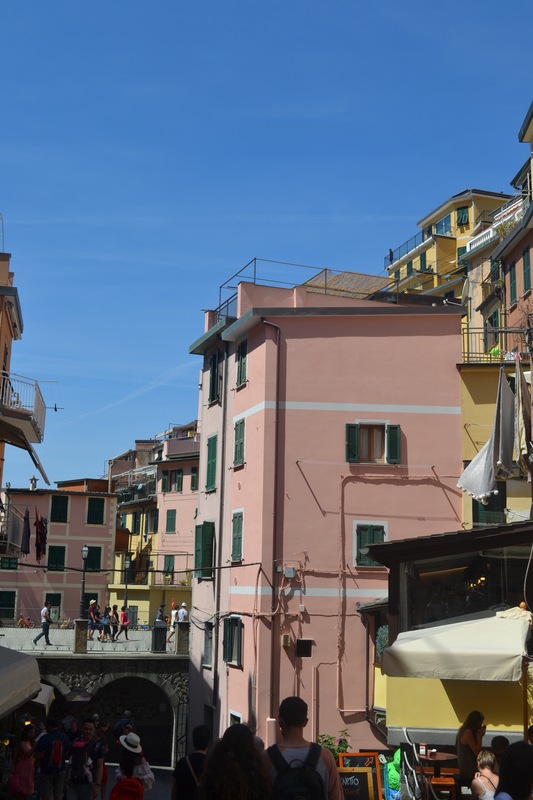 Life in Cinque Terre is sweet, simple, and pure. There is no rush to go go go in Cinque Terre. Unlike the United States or the other big cities in Europe, people walk in Cinque Terre walk slow to fully take in what is around them. The limited wifi allows those who visit to fall off the grid for a few days to simply enjoy the views, the people, and the food. Our time in Cinque Terre gave our group the opportunity to love each other and to love the city we were in. 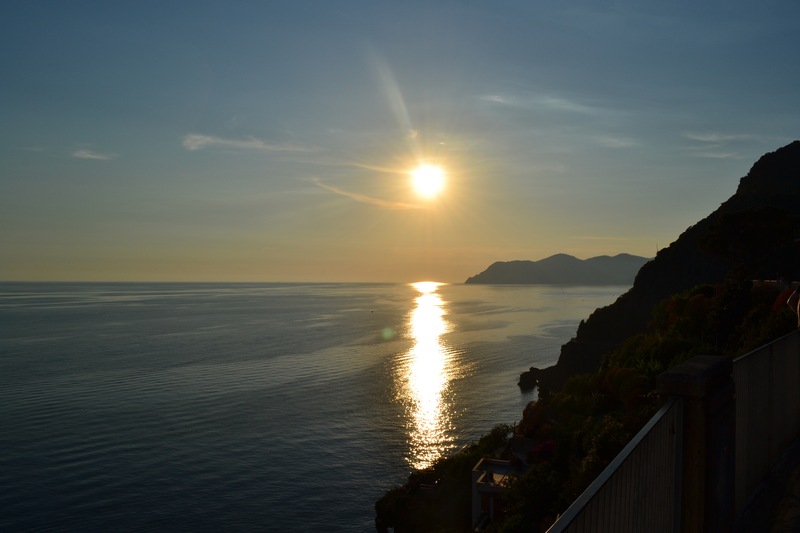 We did not go to a museums or a memorial, although those are both valuable experiences, but instead we climbed through the Cinque Terre hillside, swam in the Ligurian Sea, and watched the stars and the moon at night. 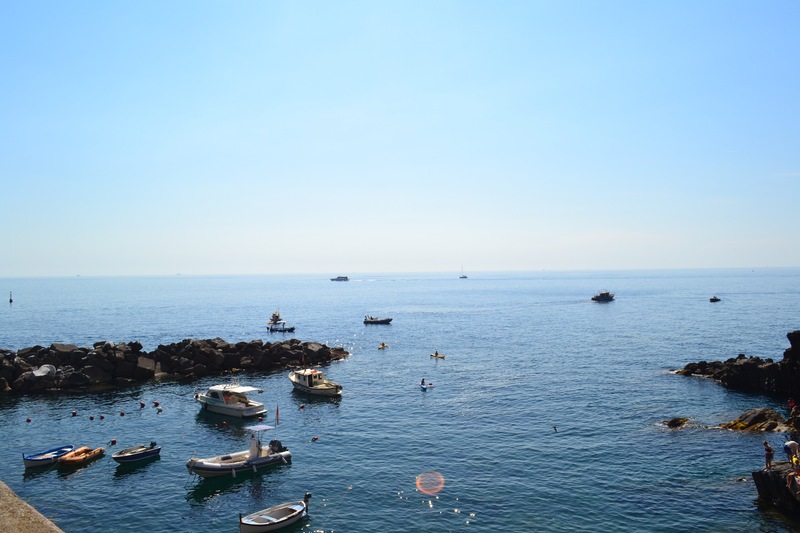 What would life look like if we took a step back in our everyday lives like we did in Cinque Terre? I think our lives would be a lot more colorful.